Who says your dream wedding needed that many people? 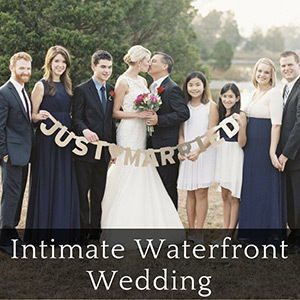 The Intimate Waterfront Wedding Package is an easy way to surround yourself with love and good fortune from your closest friends and family on your special day. 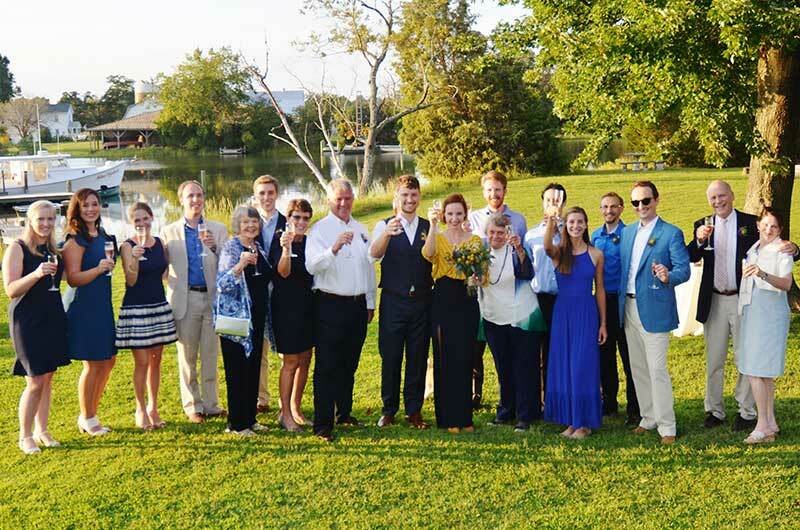 With all of the fixins’ of a regular wedding — flowers, dress and tux, cake, and dancing — you can compress it all down with the people that mean the most in your worlds. 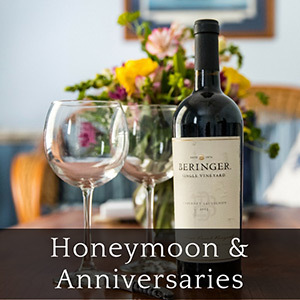 This package accommodates the wedding couple and up to 16 guests and includes a 2 night stay for Newlyweds and up to 12 other guests, (7 rooms total double occupancy). 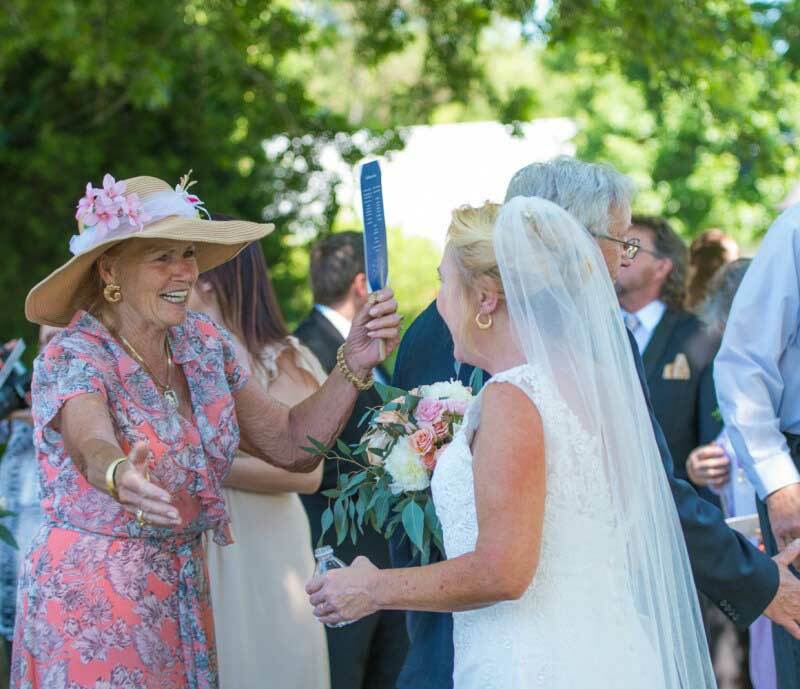 Larger weddings can be a grand affair, but there is something especially soulful and present about a small gathering of close family and friends to celebrate your new union. Less stress, less logistics, and less people make for a very relaxed week end of merriment and love. We have done many small weddings all unique and special in their own way, and will help you to create your most memorable weekend as well! Find out more about the included features below. Exclusive use of The Inn at Tabbs Creek for the entire weekend booked, Friday 3:00 pm until Sunday 11:00 am. 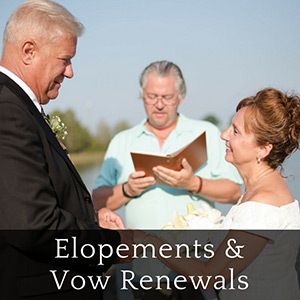 which includes common areas, fire pit, pool area and grounds for your rehearsal , wedding and reception. Luxury “Bayside Suite” for Newlyweds including king size bed, deluxe Jacuzzi tub for 2, living area with big screen cable TV and fireplace feature as well as separate porch and patio with gas fire pit and grill. 2 deluxe suites and 4 well-appointed guest rooms for up to 12 additional guests. (Note: rooms are included in price based on double occupancy. Some rooms can accommodate extra person(s) for an additional fee of $25.00 per person per night). A licensed officiant to conduct the wedding ceremony. Portable sound system for your music. Bridal bouquet, matching boutonniere, and matching floral cake topper. Sparking wine or juice and flutes to toast wedding couple. Medium wedding cake, decorate knife, plates etc. for celebration and pictures. Deluxe Breakfast buffet both mornings for all guests including mimosa bar. Later checkout of 12 noon for Wedding couple, or 25% off 3rd night stay. Use of grounds, (dock, waterfront, front of house, etc.) 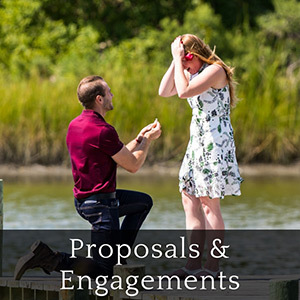 for one hour on agreed upon date for either engagement pictures or bridal portraits pre-wedding. Also Included: We are happy to take pictures with our Nikon digital camera of your ceremony, however, we are NOT professional photographers. We will gladly take as many pictures as possible and share them with you on CDROM or bring a memory stick for us to download. If interested in professional photographer, we can recommend a few in the area that we work with. 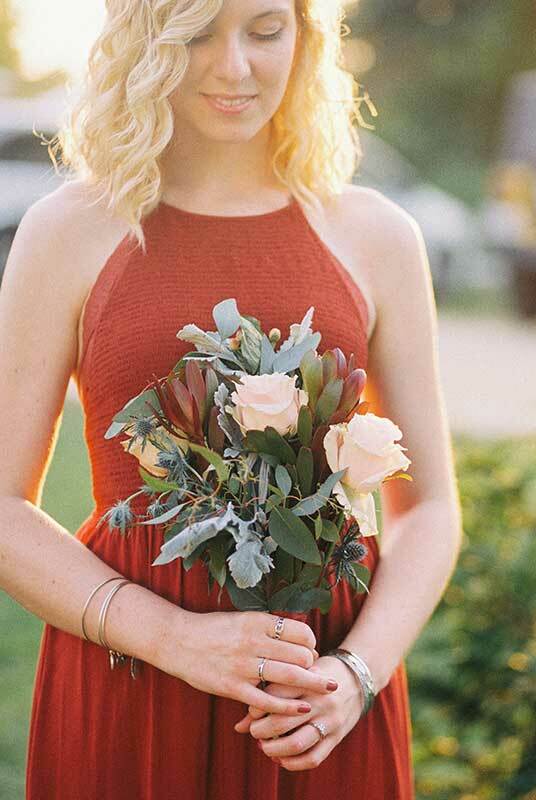 We will also be happy to work with you regarding any additional flowers, rentals, etc. 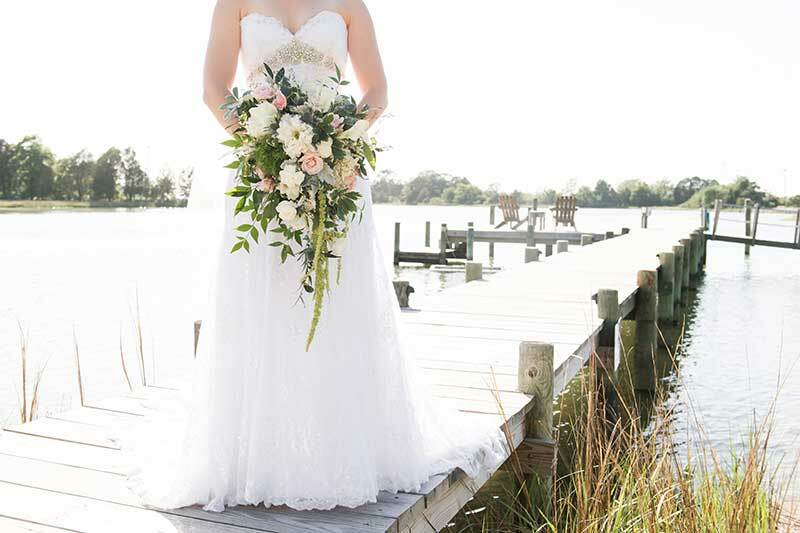 Every Package is designed to give you a foundation for planning your dream wedding. 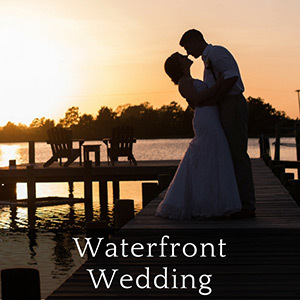 We will be happy to refer you to our long list of local vendors that we have relied on for years in our experience putting together waterfront weddings. 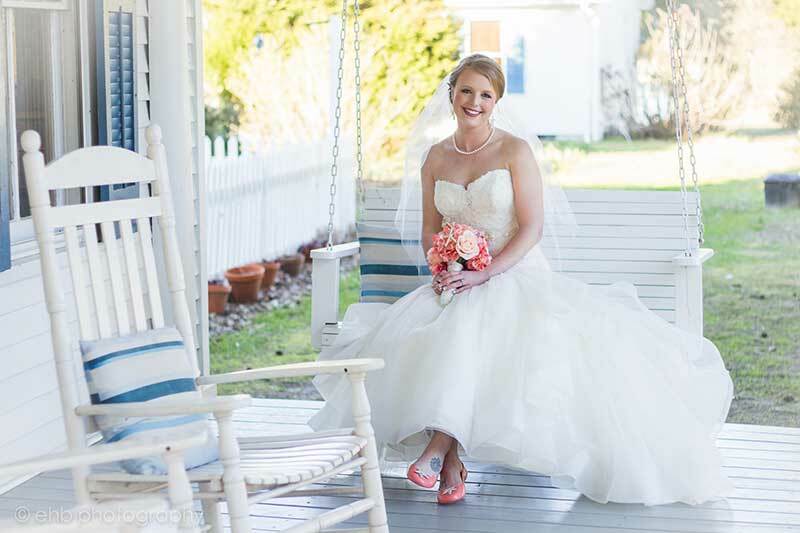 Our goal is to make your special day a reflection of who you are as a couple! After reviewing all the packages, please contact us at innattabbscreek@gmail.com with any questions or to set up an appointment. Since week-ends are very limited for weddings, let us know if you have any dates set or in mind so that we can first check for availability. We can also provide a quote to customize any wedding package.